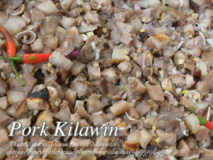 A Filipino recipe pork kilawin that consist of pork head meat (remove the bones from the meat and skin) and skin, intestines, pork brain, liver.. 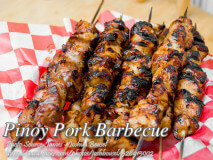 When I see pork barbecue in bamboo skewers or sticks, I always assume it is a pinoy pork barbecue. 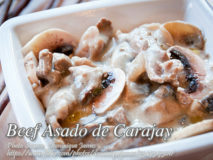 Anyway this recipe is the common..
A delicious beef asado recipe with cream of mushroom and button mushrooms. 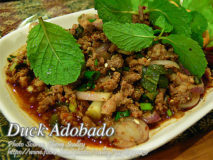 Actually, the word “carajay” is a local version of the popular wok that is..
Kilawing kambing is an Ilokano dish made from goat skin and goat meat cooked and marinated in vinegar and spices. 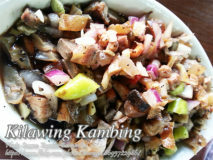 Actually kinilaw is supposed to..